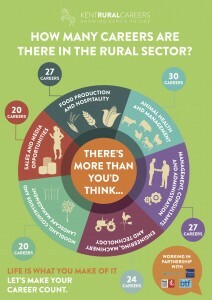 Kent Rural careers have created a number of useful graphic to help decide which type of career may suit you best. 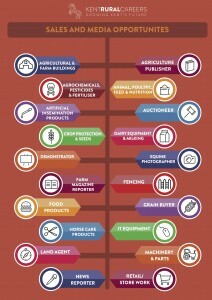 Animal Health and Management, within this category there are 30 possible career paths. For more information go to our career page or download the free app for iPhone or Android. 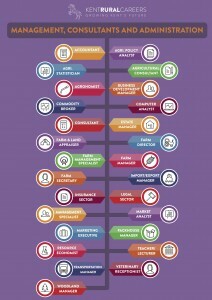 Management, Consultants and Administration, within this category there are 27 possible career paths. For more information go to our career page or download the free app for iPhone or Android. 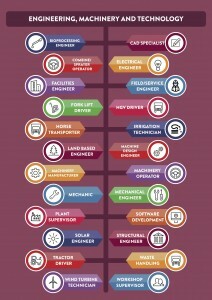 Engineering, Machinery and Technology, within this category there are 24 possible career paths. For more information go to our career page or download the free app for iPhone or Android. 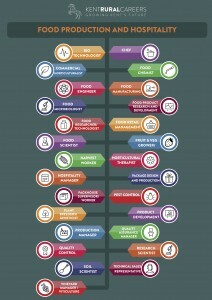 Food Production and Hospitality, within this category there are 27 possible career paths. For more information go to our career page or download the free app for iPhone or Android. 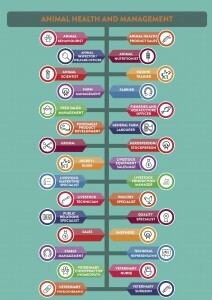 Sales and Media Opportunities, within this category there are 20 possible career paths. For more information go to our career page or download the free app for iPhone or Android. 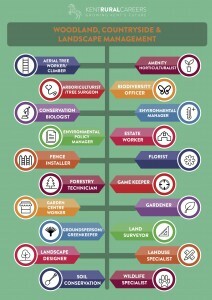 Woodland, Countryside and Landscape Management, within this category there are 20 possible career paths. 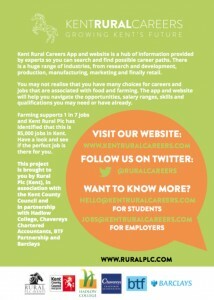 For more information go to our career page or download the free app for iPhone or Android.